Mail order retailer of hundreds of unique and hard soft drinks and other specialty beverages. 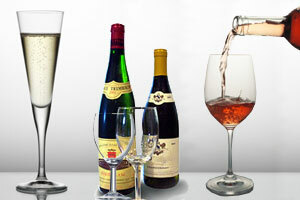 Offers a wide range of beverages such as wine, spirits, beer and more. Beverage company that produces several varieties of tea, sports drinks and energy drinks. We supply wholesale premium specialty coffee to grocery chains, retailers, restaurants and specialty stores nationwide directly or through distributors. We are the premier gourmet coffee supplier to restaurants and institutions in Florida through our OCS division. Retail coffee is available in regular or decaf, whole bean or ground. Choose from 70 fresh roast varieties and blends including 30 unique flavored coffee types all produced with top quality Arabica coffee beans.